February 2015 - Pebbles, Inc.
We’ve found it. The perfect DIY idea. It has everything! Our free We Go Together printable envelopes and coloring pages were such a hit over Valentine’s Day that we wanted to share more with you! 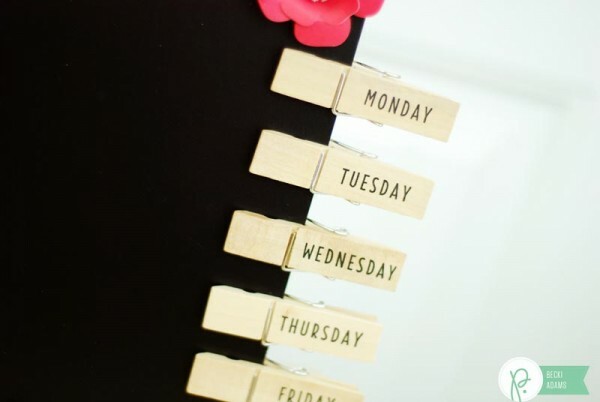 Basically, the possibilities are endless! 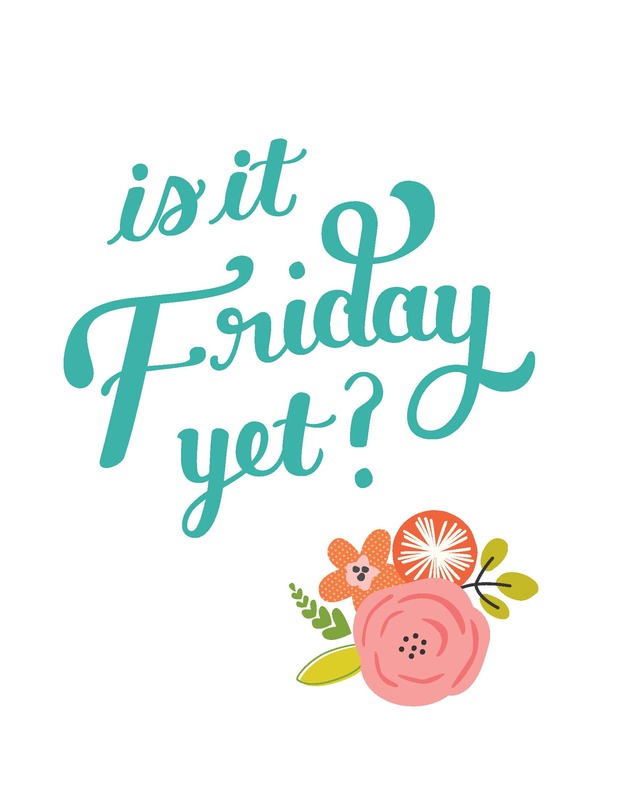 And we know you’ll do something fabulous with them. 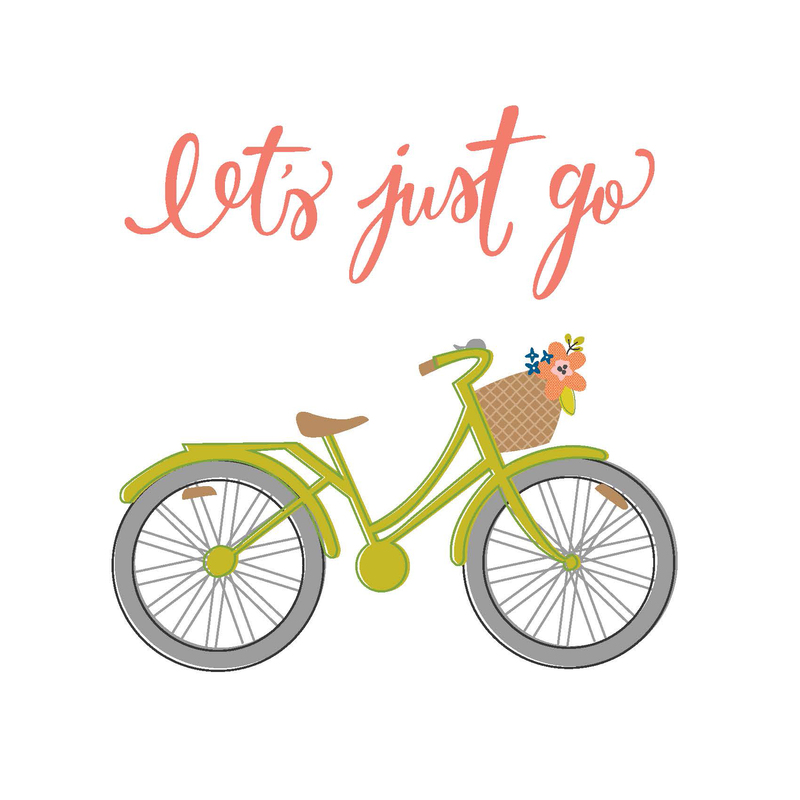 Just click here to choose which of the three printable designs you’d like to download for yourself! Or go nuts and download all three! Feel free to share whatever you do with these sweet printables with us on Instagram using the hashtag #PBPrintables or share them on our Facebook page. Hello Pebbles Inc Fans! 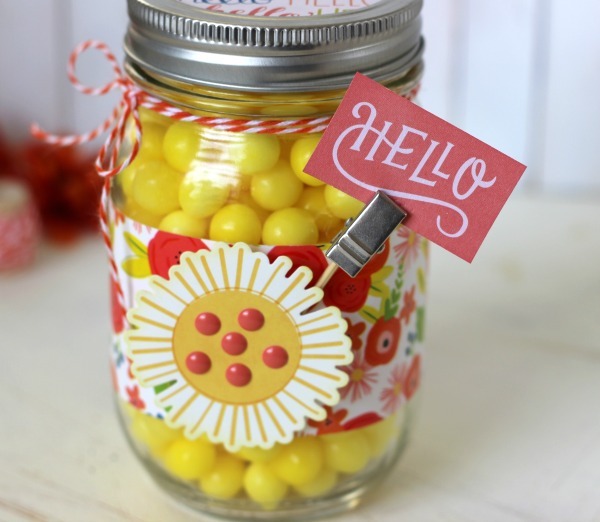 Holly here from Ribbons & Glue sharing a sunny Hello Sunshine Jar to beat those Winter Blues made with the Pebbles Inc Happy Day collection. 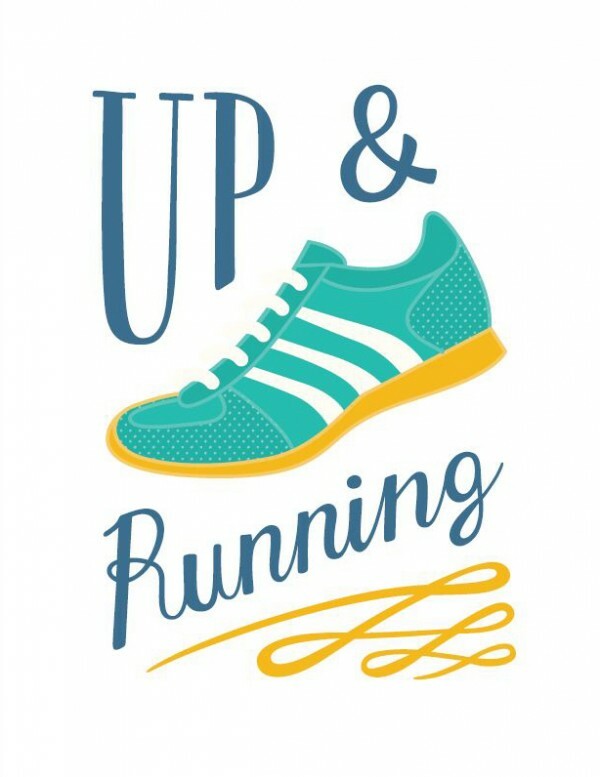 Winter has been the theme this week on the Pebbles blog and really, who wants to promote an extended Winter unless you’re a Winter Sport enthusiast? 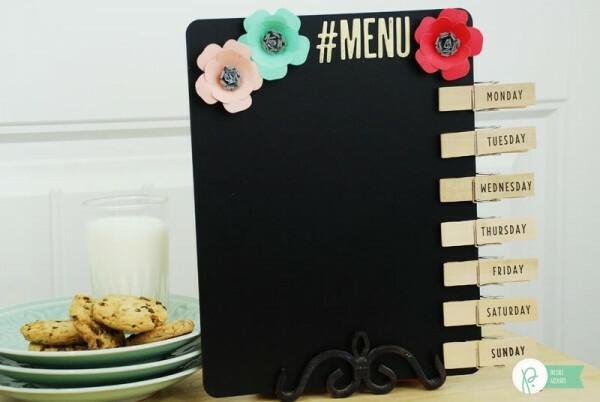 I live in Southern Nevada and we’ve barely had a Winter this year let alone a flake of snow so if you happen to be one of those people stuck inside with the Winter Blues, here’s an simple and quick project to bring you a little bit of Sunshine. 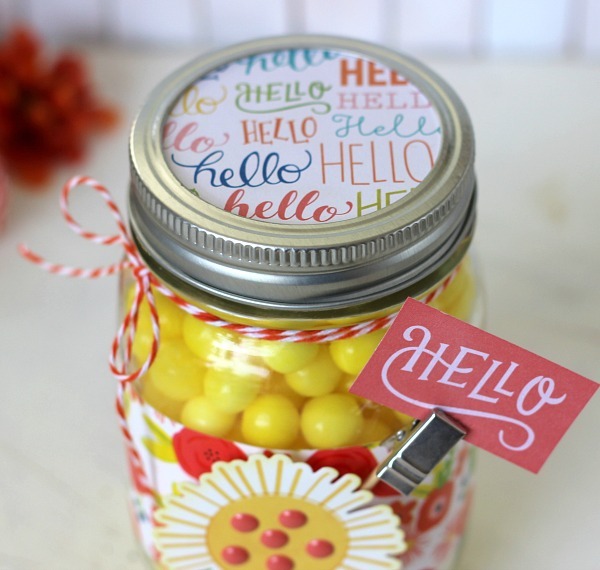 To make this Hello Sunshine Jar, I filled up a mason jar with yellow candy and adhere Pebbles Inc Happy Day Paper Ribbon around the jar. 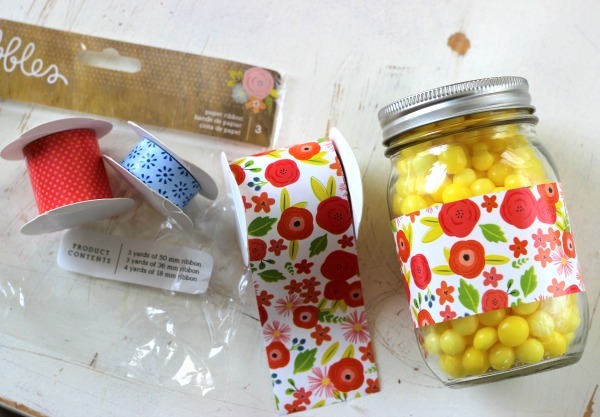 I then covered the lid of the jar by tracing it on a piece of 6×6 patterned paper. 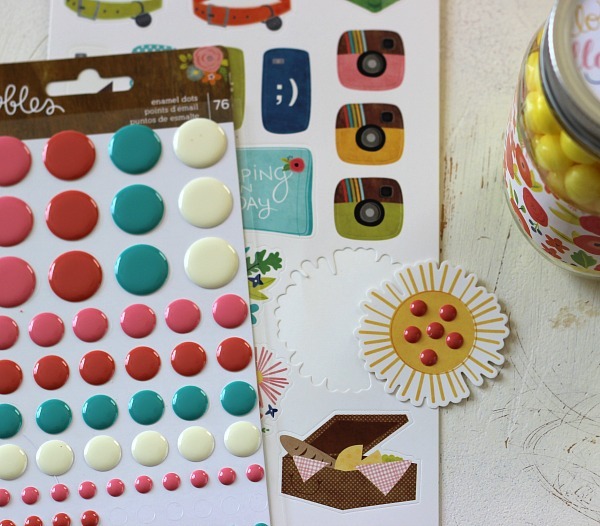 Embellishing the outside of the jar was easy to do using the Happy Day Epoxy and Phrase Stickers. 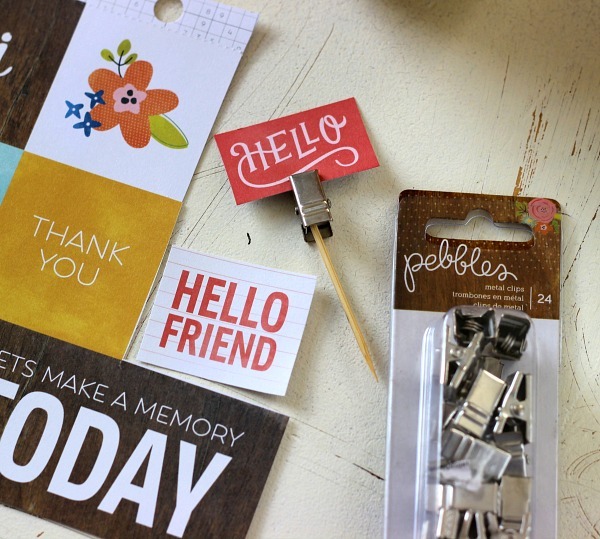 I added a stick tag on to the jar by adhering a toothpick on to a Happy Day Metal Clip then clipped on a Hello sentiment found in the 6×6 paper pad. 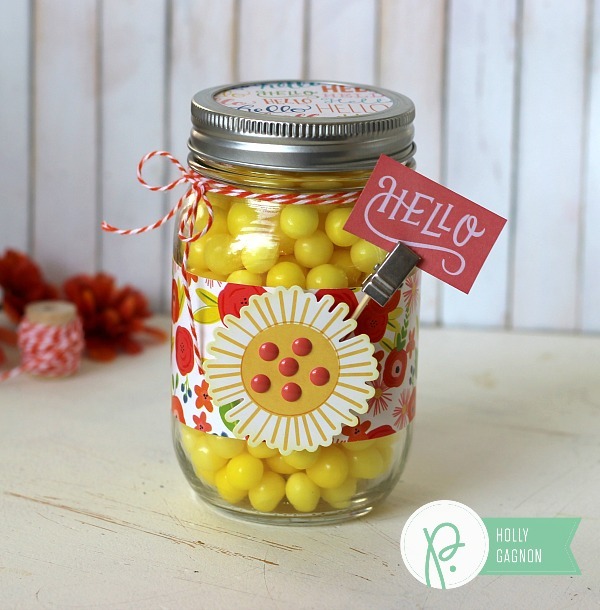 A simple and quick gift to bring a little but of Sunshine to someone’s day! Wintery, but not cheesy or too cutesy (although I am the first to admit that I L.O.V.E. cutesy and cheesy, it’s just not the look I always want to portray). 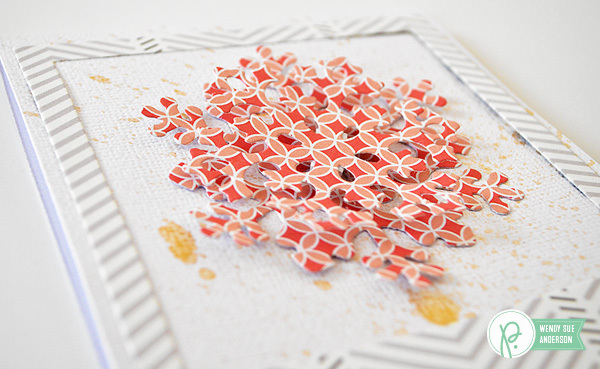 Here’s how I made this card set using the brand new “Cottage Living” collection by Jen Hadfield. 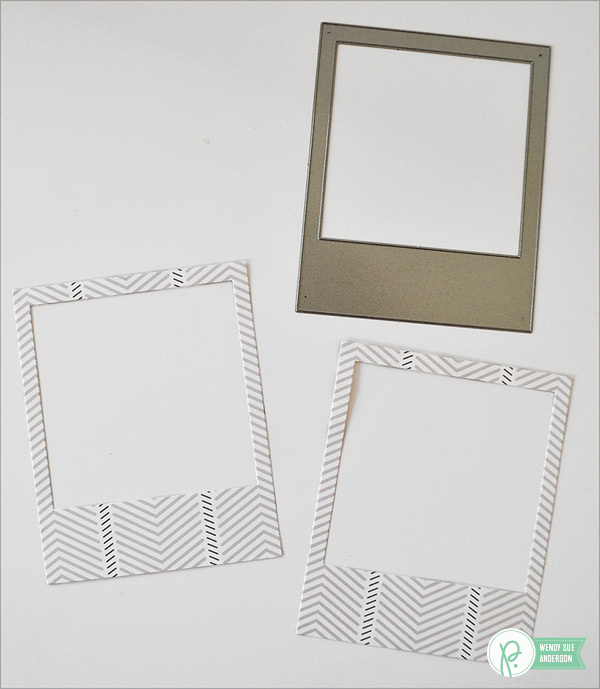 I started with the polaroid die and created two frames. 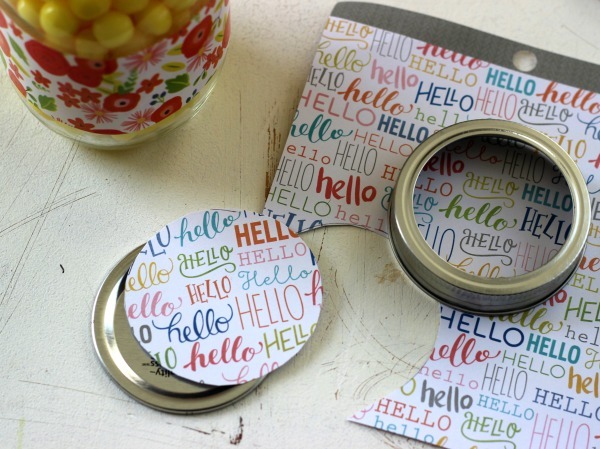 Next, I used the super cute “hello” die to cut two words from a darker gray paper (from the 6×6 pad because I wanted the pattern to be small and subtle). 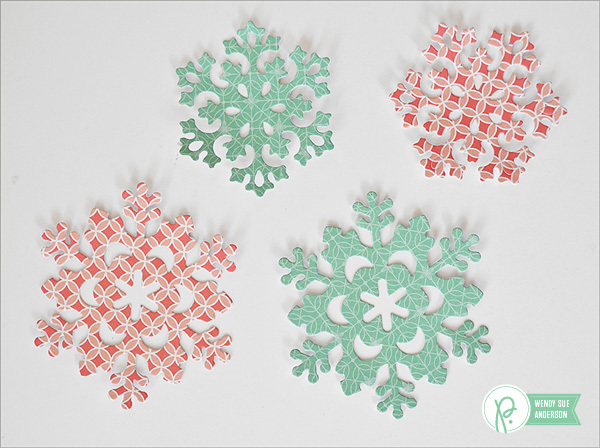 I also used a die I had on hand to cut some snowflakes out of patterned papers from the 6×6 paper pad. 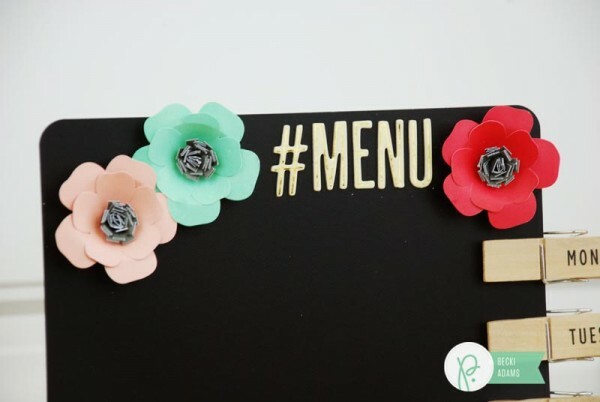 You could also use electronic die-cut shapes, or even cut the snowflakes by hand! 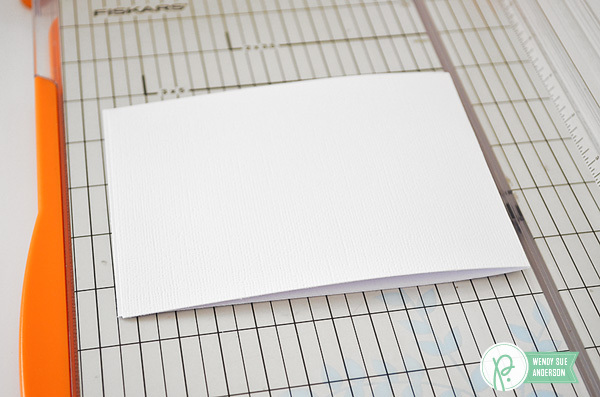 I knew I wanted to use white for my card bases, so I cut two 4 1/4″ x 11″ strips, then scored them in the center and folded them. I wanted these cards to open at the top, rather than the traditional left hand side. Now I wanted to add a bit of “glisten and gleam” to the background, so I pulled out the gold glitter mist that coordinates with this collection. 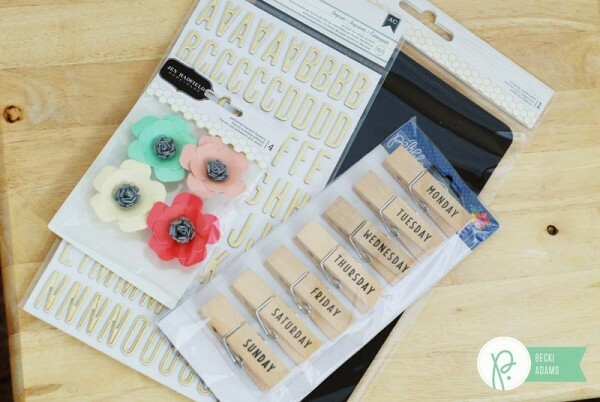 I use the boxes that my scrapbooking supplies come in when I order from online stores as a misting box. 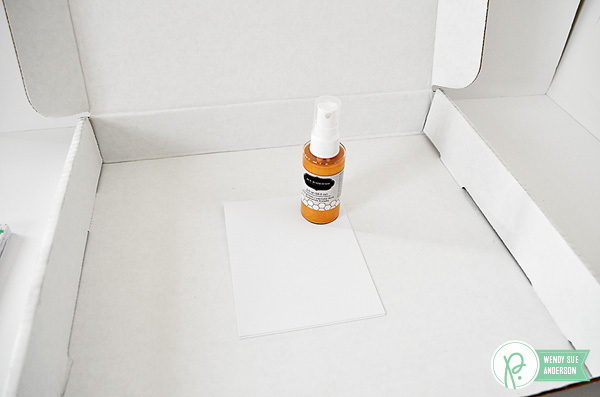 This one is kind of like a pizza box – I love that it’s small and portable – and if I wanted to store my mists inside, it would be perfect for that too! 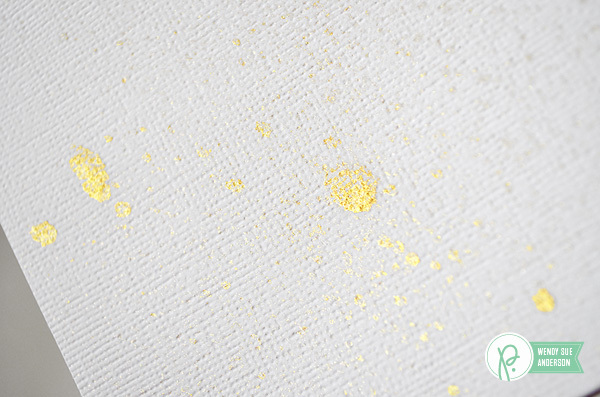 Shake the mist really well – get the glitter mixed in – and spray! I always like to take a couple of practice sprays to make sure everything is flowing perfectly. 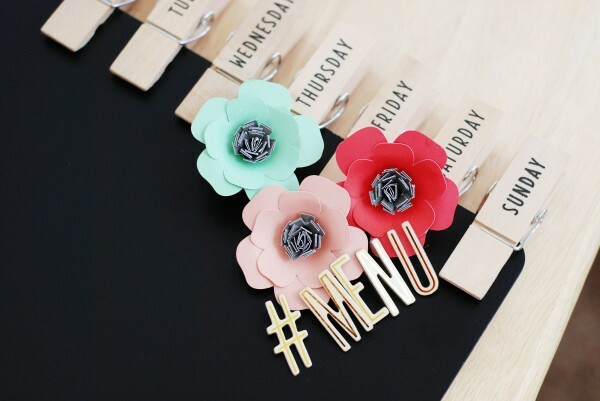 Don’t worry if your paper bows up like mine did – it will flatten out when the mist is dry. Check out that shine! Isn’t it fun?!? 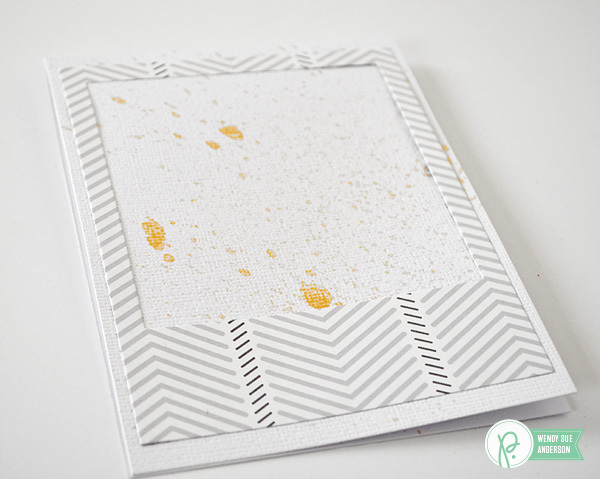 After the mist is completely dry, add the frame to the card base. 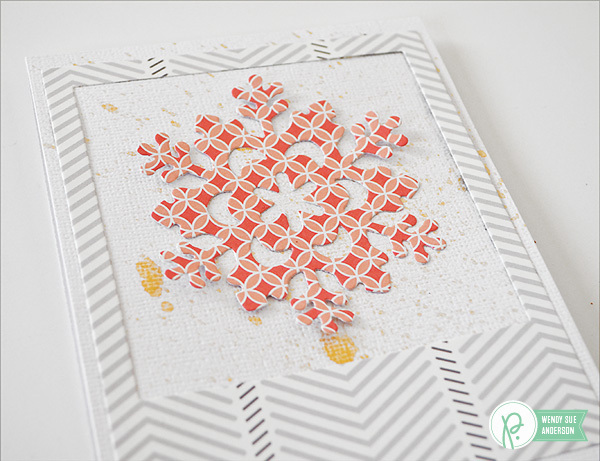 Next, add the snowflake to the center of the frame opening. 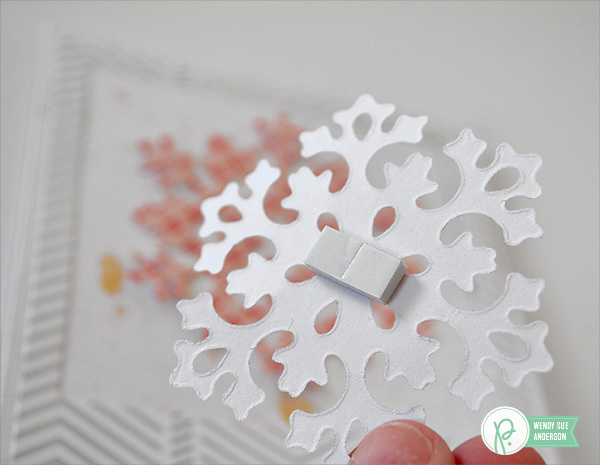 It’s fun just like this, but I like to add extra dimension, so I opted to use foam adhesive squares on the back of a smaller snowflake and then add it over the center of this one. Ahhh, I think that is perfect! I followed the same steps for my second card. 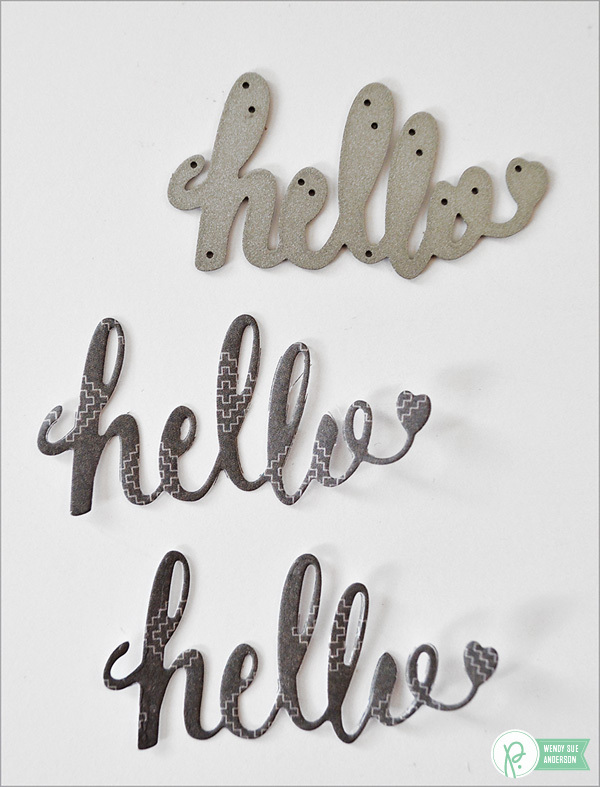 I can’t wait to share my wintery “hello” cards with some friends; hopefully it will brighten someone’s day!